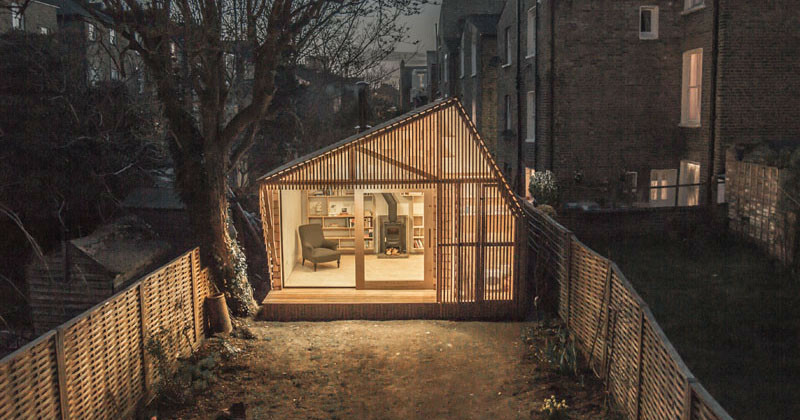 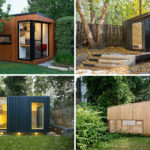 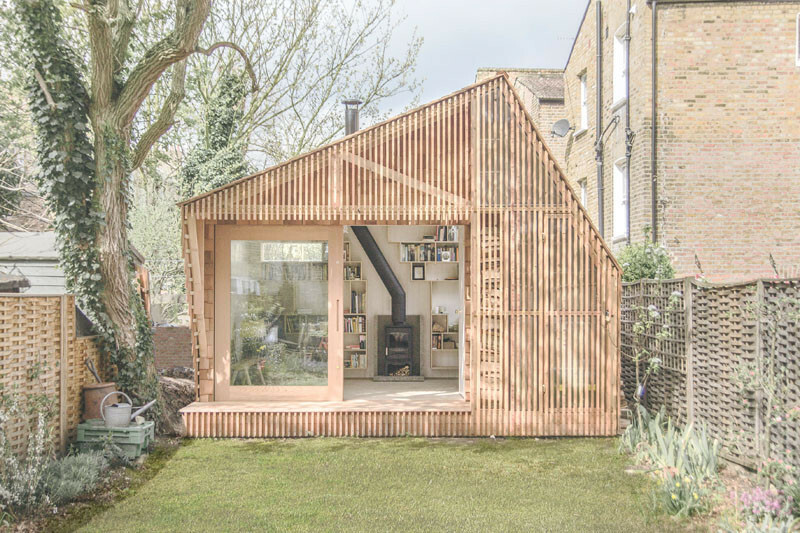 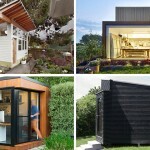 WSD Architecture were commissioned by their client, an author and illustrator, to design and build a backyard shed where they could work, at the end of their property in the London Borough of Hackney. 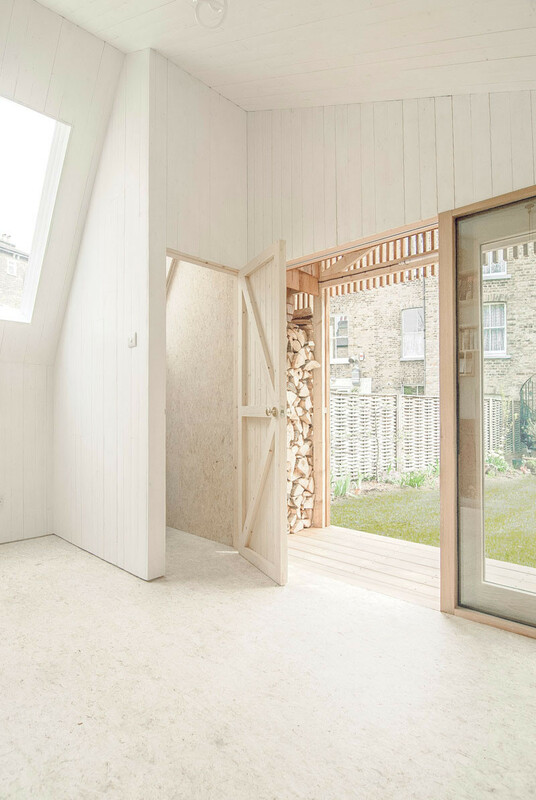 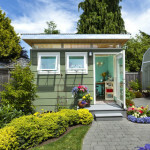 You enter the shed through a small covered deck area, and inside the door, there’s a small bathroom tucked away in the corner. 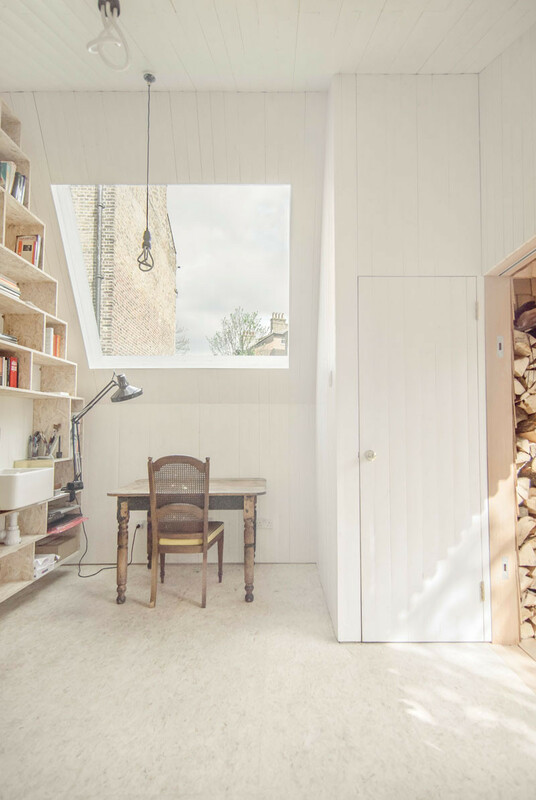 A skylight above the desk provides plenty of natural light. 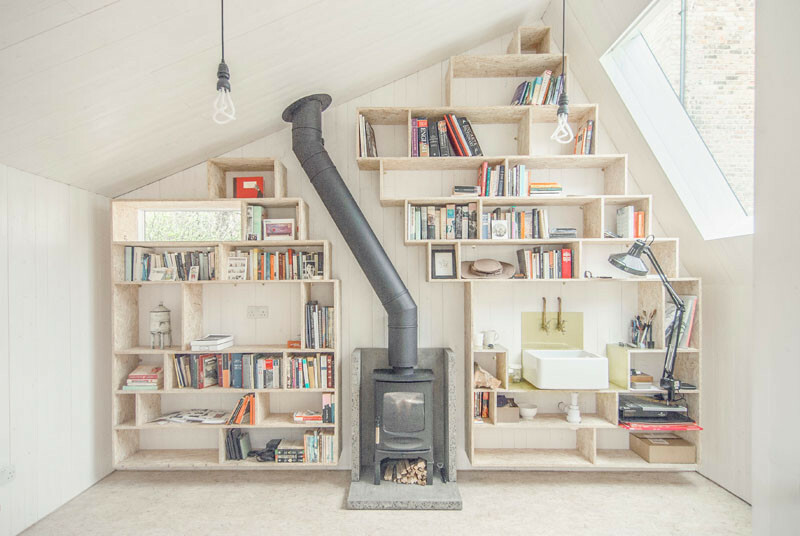 The entire back wall has been fitted out with a custom-designed bookshelf. 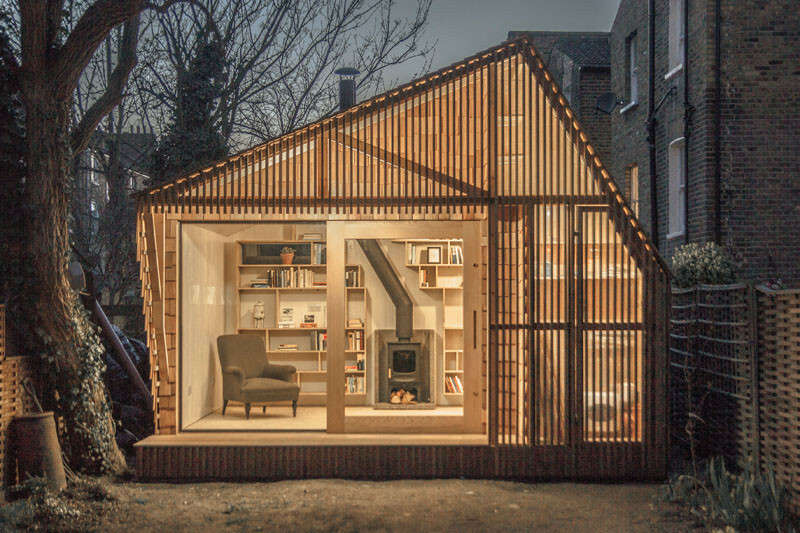 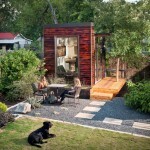 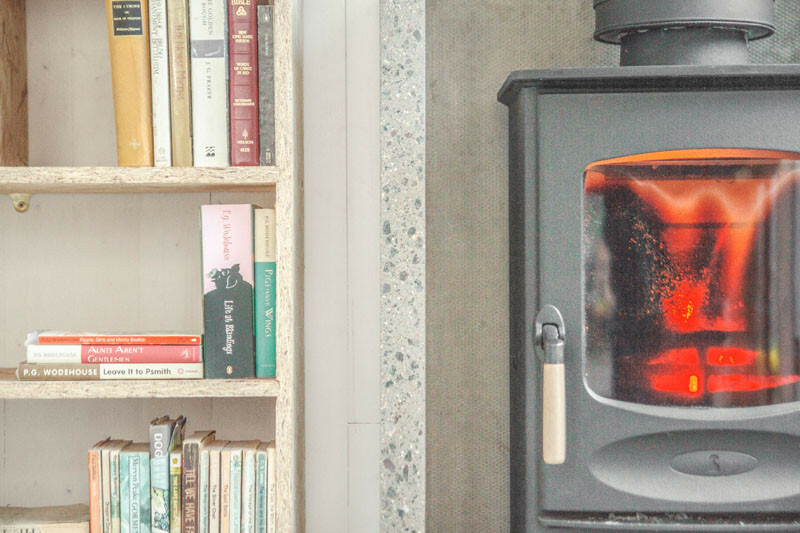 A wood burning fireplace keeps the shed warm. 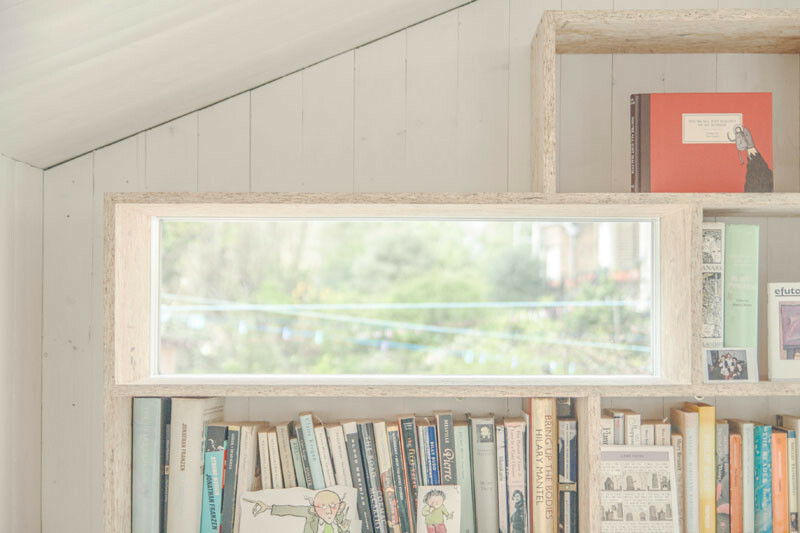 A tiny cut-out window is perfectly framed like it is part of the bookshelf. 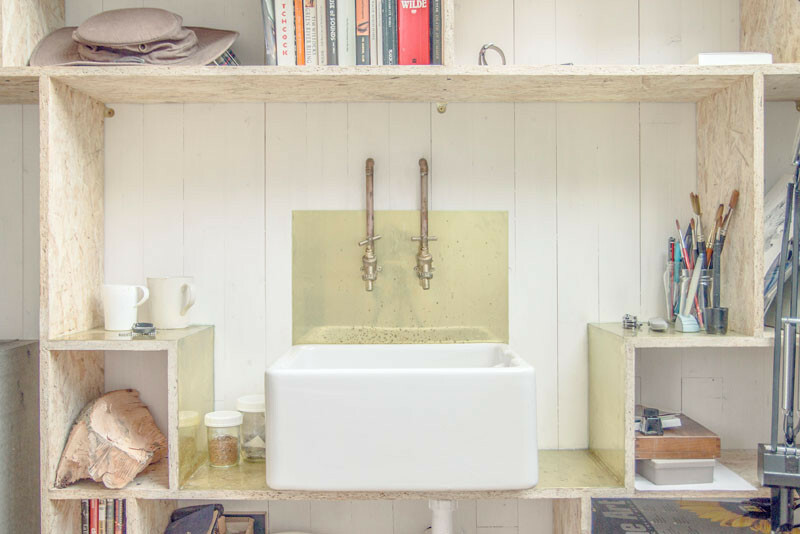 There’s a small sink for washing hands and painting brushes. 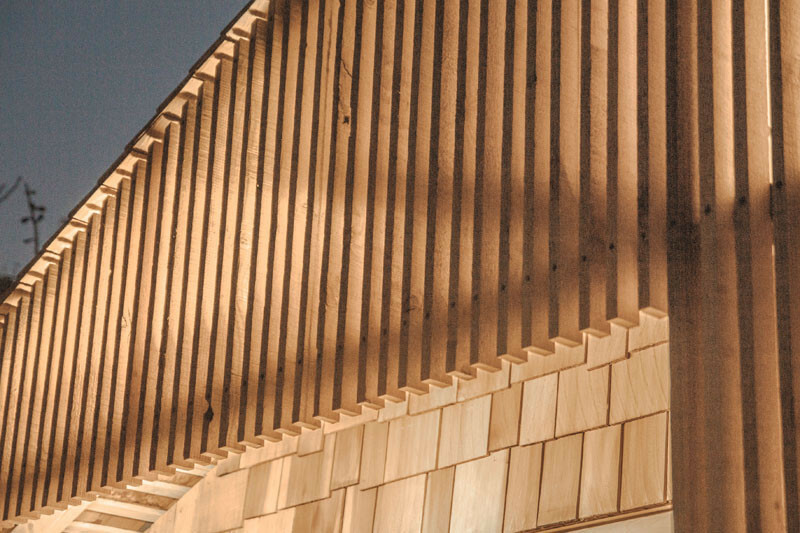 Here’s a close-up look at some of the exterior cedar wood detailing. 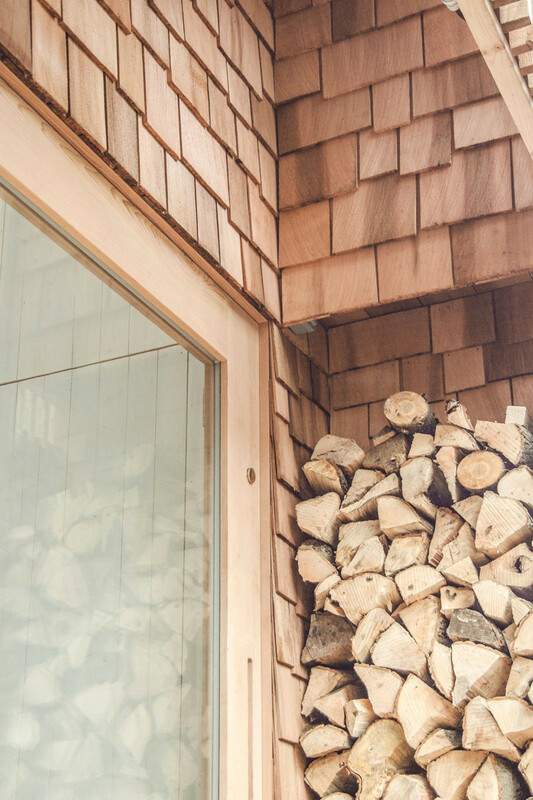 There’s also a small section for storing wood for the fireplace.